Outlook Group Packaging and Printing Solutions. Coffee packaging is about far more than appealing appearances. It’s vital that it also protects the coffee from contamination, provides a robust, durable covering, and meets all USDA standards for food. 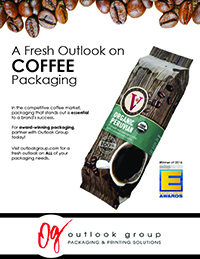 From protecting your blend to promoting your brand, Outlook Group flexible and folding carton packaging options provide the advanced engineering, package design and printing quality that make your products stand out at the shelf. 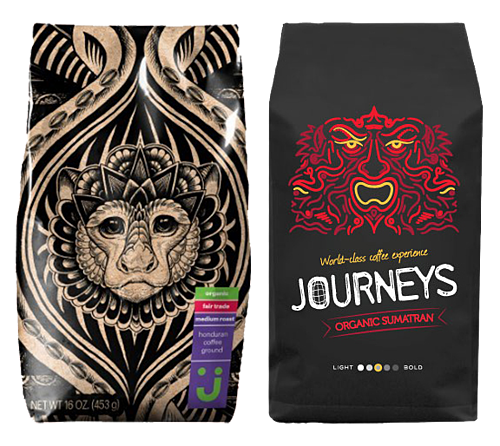 Our family of coffee packaging films and folding carton options provide a wide range of formats, barriers, closures, and carton constructions to create the perfect environment for preserving freshness and extending shelf-life. As specialists in packaging solutions for a wide range of food & beverage products, we can help design and manufacture a solution that’s exactly right for your needs. 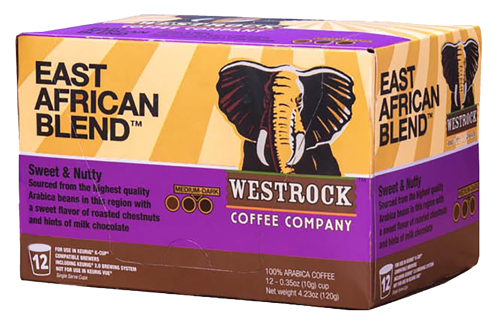 Outlook Group Packaging & Printing Solutions can design a complete coffee packaging solution for you including labels, folding cartons, display cartons and flexible packaging. View our complete coffee product portfolio or click the links below to request samples or a quote.